Durst gearmotors are designed for easy maintenance in the field. 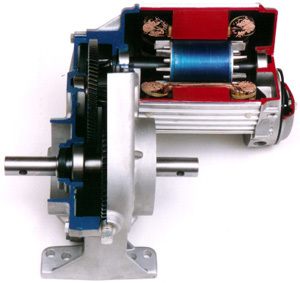 Motor frame is made of corrosion resistant aluminum. Finned aluminium housing sealed at junction points. Double output shaft seals. Crop guard is integrated into the gearbox housing to protect shaft seals, for extended life. Exclusive steel sleeved bearing seat. Integral heat-treated pinion gear on motor shaft. Thermally protected electric motor, with automatic reset. Includes 3 condensation ports on the motor module. 460/380 Volts, 3-Phase motor, 60/50 Hertz. Durst Gear Motor 34 RPM, 50:1 – 3/4 HP, interchangeable with Valley type unit. Durst Gear Motor 43 RPM, 40:1 – 3/4 HP, interchangeable with Lindsay-Zimmatic, Reinke… units. Durst Gear Motor 68 RPM, 25:1 – 1 1/2 HP.